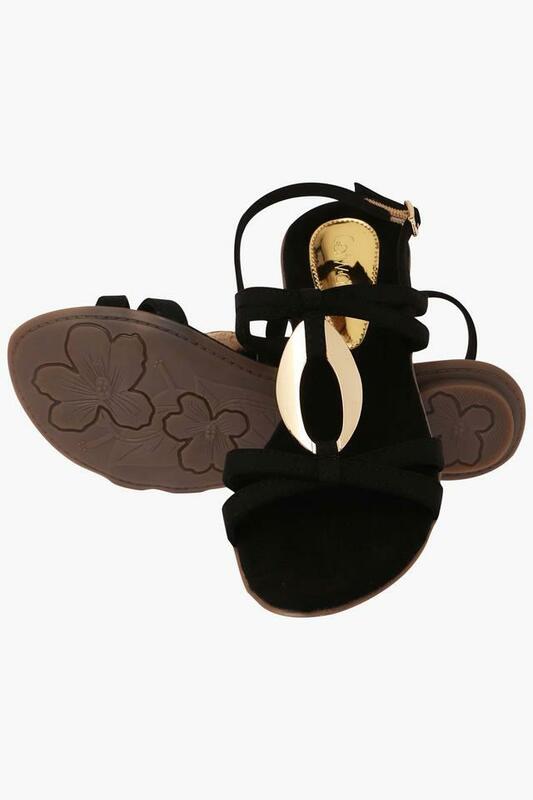 Enhance your footwear collection by adding this pair of flat sandals brought to you by Catwalk. The upper part has been crafted from suede, which gives it an elegant finish. 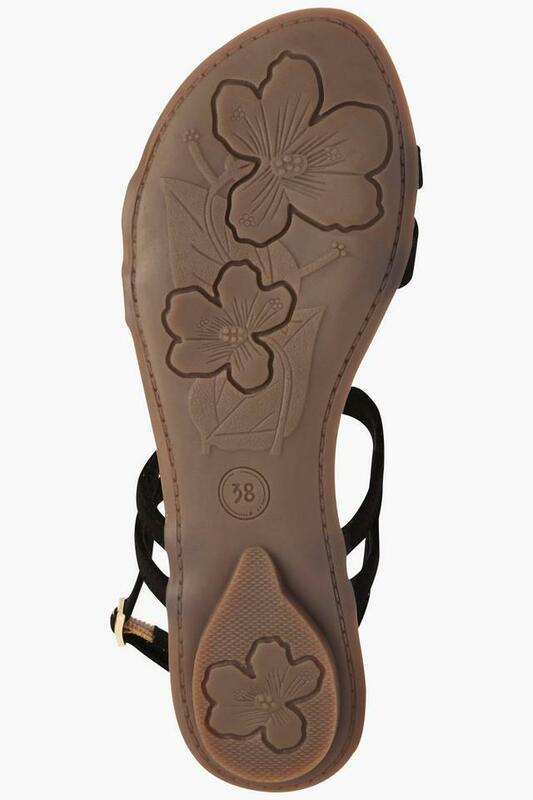 Moreover, it has a buckle closure that makes it convenient to wear, while the soft foot bed promises to keep your feet comfortable at all times. Flaunt a fashionable look by wearing this pair of flat sandals for any casual occasion. Crafted with care, it can be teamed with a maxi dress to make heads turn.